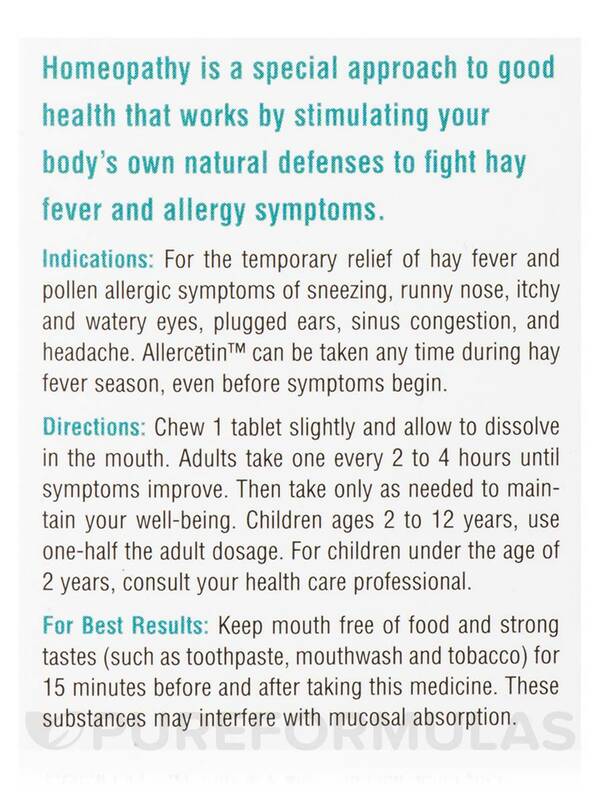 I just started using Allercetin but seems to work well for hay fever and allergies. 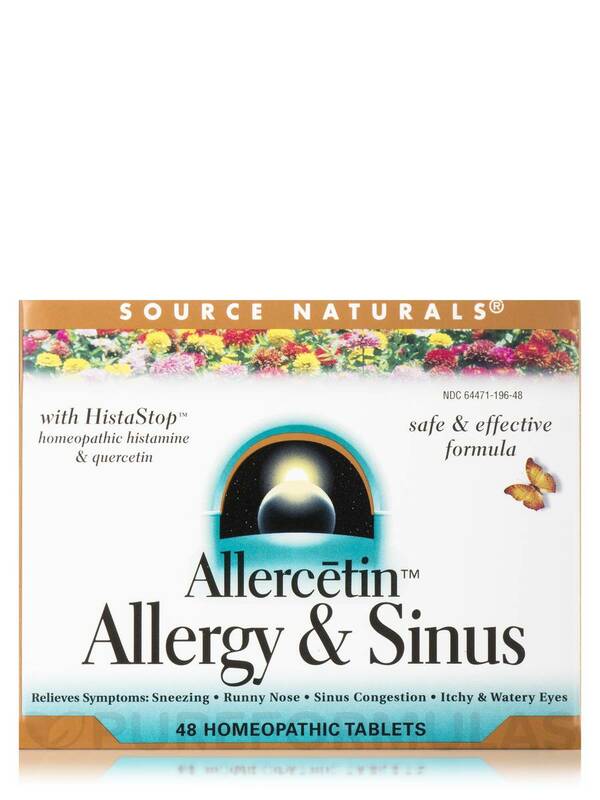 Allercetin is a great product - helps me with allergies without side effects of dry eyes etc. 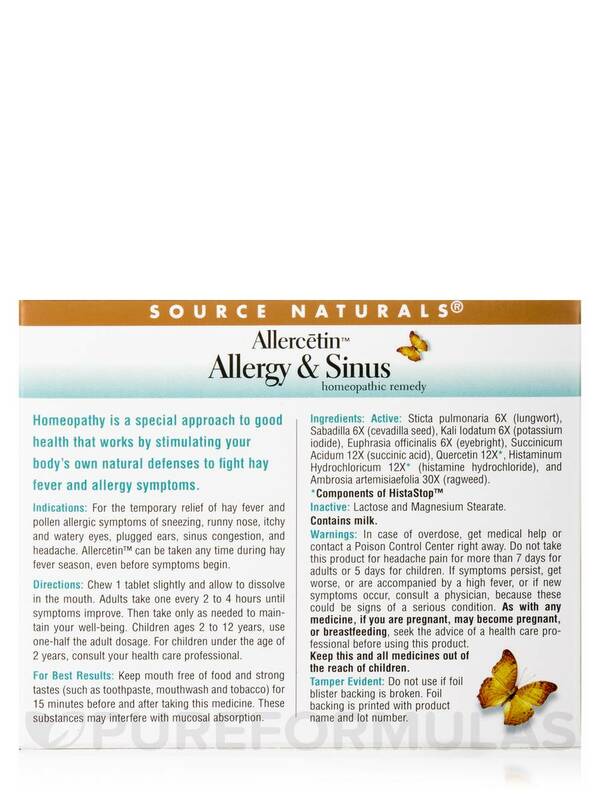 Allercetin by Source Naturals works like a charm for a homeopathic product. Very impressed with the results. 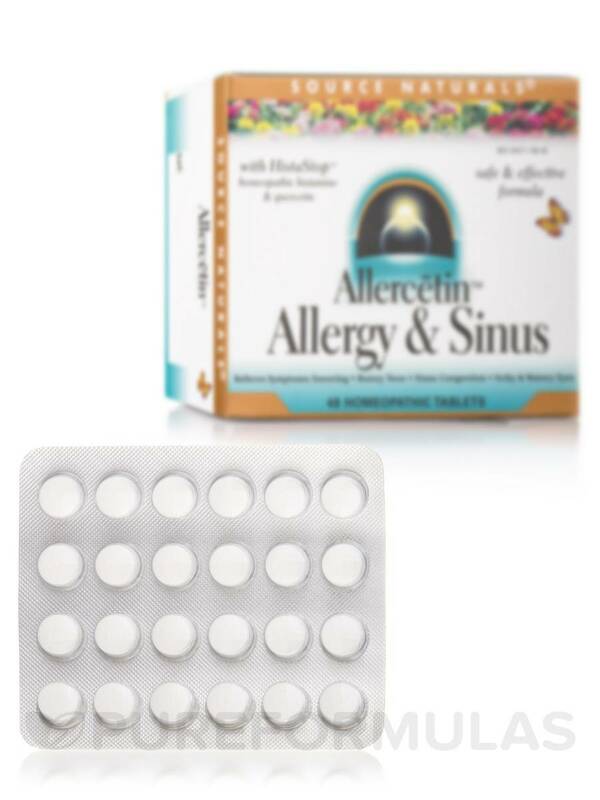 Fight allergies and alleviate respiratory discomfort with Allercetin™ Allergy & Sinus Tablets from Source Naturals®. This homeopathic formula may also strengthen your immune system and boost cellular energy. Sticta Pulmonaria may support your respiratory health‚ relieve bronchial conditions‚ and deal with eye infections. It could potentially fight common cold‚ clear stuffy nose‚ and ease headache. Lungwort also alleviates joint pain‚ swelling‚ and redness‚ thereby promoting easy mobility. The presence of sabadila in this dietary supplement from Source Naturals® reportedly reduces sinus congestion‚ allergies‚ and sore throat conditions. Euphrasia Officinalis is an herb that may fight seasonal allergies‚ common cold‚ and sinus discomfort. It could potentially lessen swelling in your nasal passages‚ relieve bronchial conditions‚ and deal with headache‚ runny nose‚ and throat problems. It may also alleviate skin irritation and eye inflammation. Ambrosia Artemisiifolia may offer antioxidant protection to the cells of your body and fight autoimmune conditions. Quercetin in Allercetin™ Allergy & Sinus Tablets from Source Naturals® could potentially ease conditions related to your heart and blood vessels‚ combat infections‚ and alleviate breathing problems. Active Ingredients: Sticta pulmonaria 6X (lungwort)‚ sabadilla 6X (cevadilla seed)‚ kali lodatum 6X (potassium iodide)‚ euphrasia officinalis 6X (eyebright)‚ succinicum acidum 12X (succinic acid)‚ quercetin 12X*‚ histaminum hydrochloricum 12X (histamine hydrochloride)‚ and ambrosia artemisiaefolia 30X (ragweed). Inactive Ingredients: Lactose and Magnesium stearate. Chew 1 tablet slightly and allow to dissolve in the mouth. 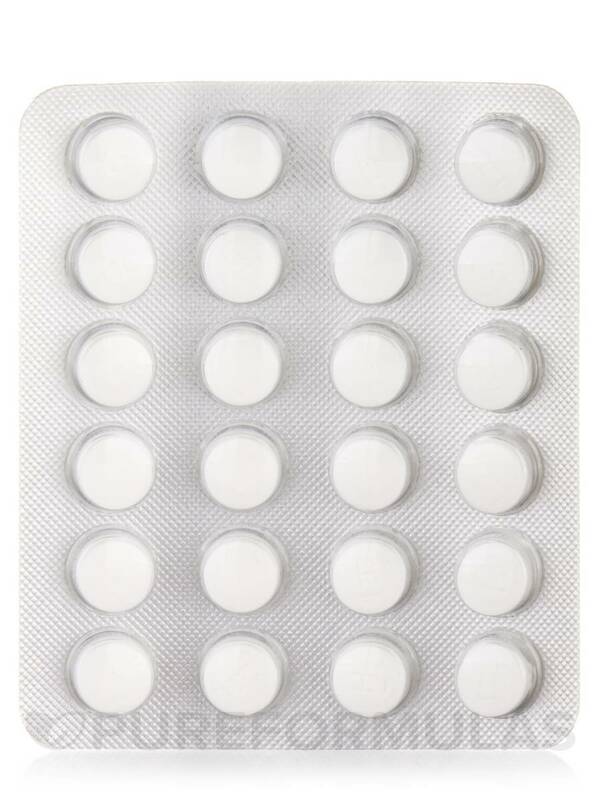 Adults take one every 2 to 4 hours until symptoms improve. Then take only as needed to maintain your well-being. Children ages 2 to 12 years‚ use one-half the adult dosage. For children under the age of 2 years‚ consult your healthcare professional. Keep mouth free of food and strong tastes (such as toothpaste‚ mouthwash and tobacco) for 15 minutes before and after taking this medicine. These substances may interfere with mucosal absorption. In case of overdose‚ get medical help or contain a Poison Control Center right away. 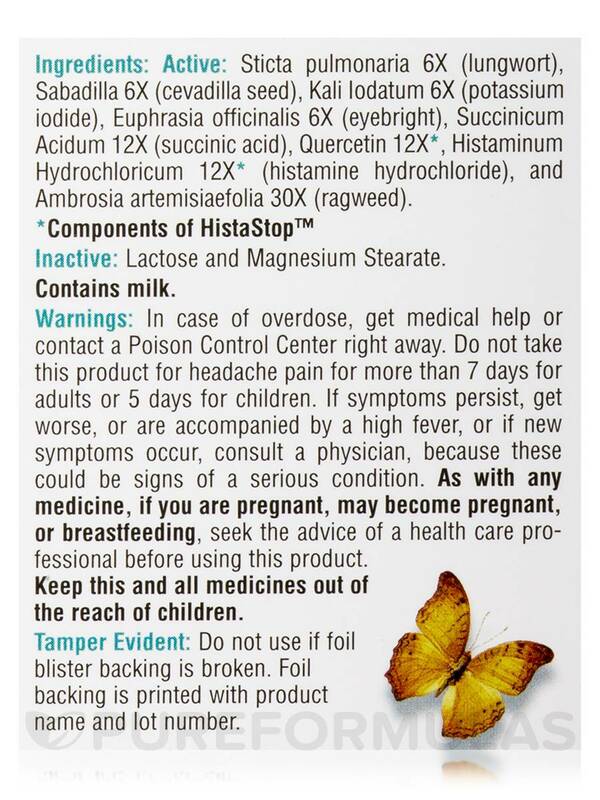 Do not take this product for headache pain for more than 7 days for adults or 5 days for children. If symptoms persist‚ get worse‚ or are accompanied by a high fever‚ or if new symptoms occur‚ consult a physician‚ because these could be signs of a serious condition. As with any medicine‚ if you are pregnant‚ may become pregnant‚ or breastfeeding‚ seek the advice of a healthcare professional before using this product. Tamper Evident: Do not use if foil blister backing is broken. Anytime I have a flare up, I take these. No more pain ! This is a God send ! Anti Inflammatory Drops took away 100% of my severe bursitis and arthritis pain. Started Allercetin by Source Naturals with 5 drops per day, now only have to take 1 drop per day. Way better than the cortisone shot I was given. Please tell everyone you know who is suffering from any type of inflammation issue... try these drops ! Took away 100% of my severe bursitis and arthritis pain. 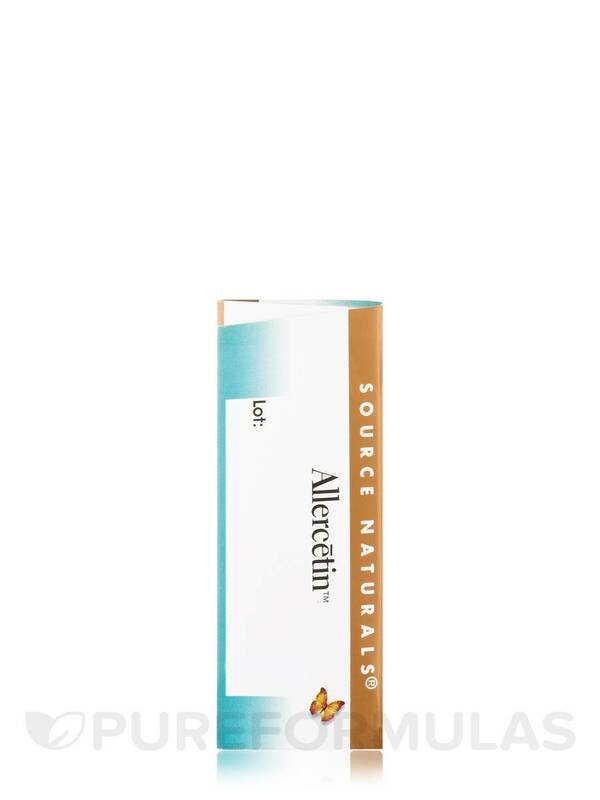 I am happy to have found Allercetin by Source Naturals. It is a product that helps me out during allergy season that doesn't have weird side effects. I am hypersensitive to regular over the counter meds and cannot take them. 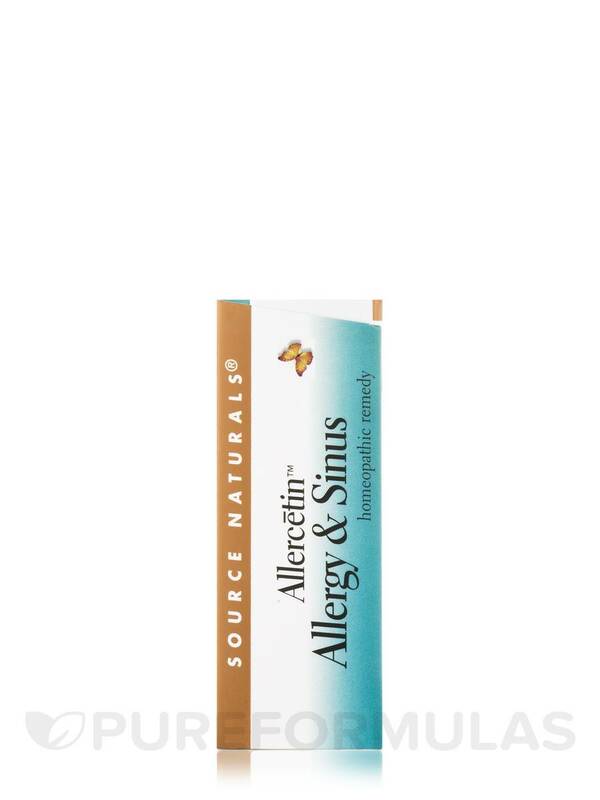 Allercetin by Source Naturals are excellent! They really work as I take them instead of taking my loratine. I use them regularly and it keeps my allergies under control since in Oregon, there is a lot of mold pollens! They worked so great that I stocked up on them. Wanted to stop using pseudoephedrine (sinus) and chlorhexedrine maleate (allergy) and go to a homeopathic remedy - Allercetin by Source Naturals took the place of the drugs I'd been using and is very effective. No side effects, on blood pressure or prostate issues. I haven't found any bad effects to report. Dont care for the continue repeated requests for a review of the product. 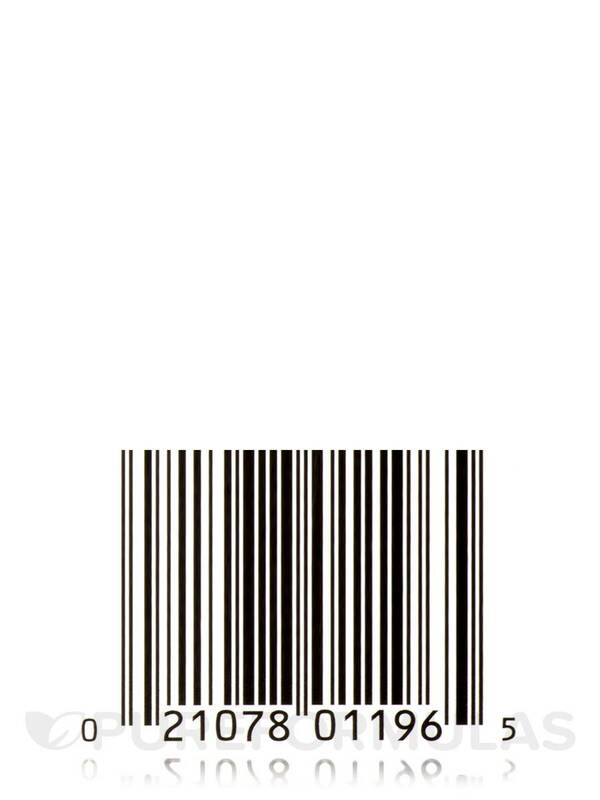 from pure formulas. Seems pretty good. Havent used it for a long period yet and still take Claritin. I had other pills similar to Allercetin. It is easy to use an doesnt require taking several pills every 15 minutes or every hour like the other product I used. Allercetin works over time not as a "quick fix" which is what I expected.